About – Alabama Woodworkers Guild, Inc.
A few men in the Shelby County area founded the Alabama Woodworkers Guild in 1983. They thought it would be a valuable service to the community to provide a forum to promote woodworking skills and interests. So far, the history of the Guild has proven them right. They began their meetings in the woodworking shop of Pelham High School and after a short time Mr. Ronald Acton, an active organizer of the Guild, invited the members to meet at his place of business, Acton Moulding Company. The Guild continued to meet at Acton Moulding Company until 1999 when this business was closed. In the summer of 1999, the Guild moved its place of meeting to the business owned by Bo Thuston, another old friend and supporter of the Guild. In 2006, the Alabama Woodworkers Guild started a project to acquire a physical facility and equip it with woodworking machinery not normally found in a home shop, with the goal of making such a facility available to our membership. While the Guild was still searching for a suitable facility, we were fortunate to receive a grant in late 2006 that allowed us to purchase our first pieces of machinery – a Bridgestone 12 inch jointer, SawStop table saw, Grizzly 20 inch planer and Bosch 12 inch compound sliding miter saw. 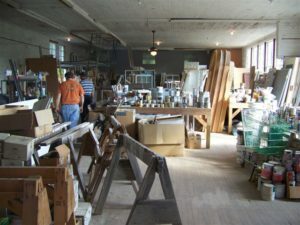 Through the generosity of members John Lawson and Jim Lee, the machinery was housed at John and Jim’s shop and available to the membership for use. Things really started happening in 2007. Through discussions with Habitat for Humanity, an unused schoolhouse in Maylene, AL was offered to us with very attractive leasing terms. The schoolhouse was used to store unused materials, and was still under a multi-year renovation project. We signed the lease and immediately invested hundreds of man-hours cleaning out the building, painting, refinishing floors, upgrading the wiring and plumbing, installing a security system and building storage units. Of course, our equipment was moved in along with several other items that were purchased to complement the shop. The result is in the pictures below. Our grand opening ribbon cutting ceremony for the media was May 2, 2008 and for the general public on May 3, 2008. Our first woodworking class at the Center was held on May 16-17, 2008 with Glen Huey teaching “Inlay and Construction Techniques for Period Furniture”. The meetings are now held at the AWG Woodworking Education Center, 10544 Highway 17, Maylene, Alabama 35114. The meetings are held on the third Saturday of each month at 10:00 AM, January through November (pre-meeting programs at 9:00 AM). In December, a Christmas party is held which is a dinner with entertainment. Membership in The Alabama Woodworking Guild is open to anyone with an interest in woodworking, even if they do not own any woodworking tools or have a shop. Membership Dues are only $100.00 annually so Click here to join or renew online now or you can Click here to download a membership application. · Promote knowledge and skills with presentations by outside professionals as well as members. · Allow members to bring projects for show-and-tell. · Allow for a forum for information regarding access to woodworking materials and tools. · Allow members and guests to fellowship with other woodworkers. · A juried show where members display their best works for judging. The annual show has been held at the Hoover Library and the North Shelby County Library. Members compete in a number of categories in different levels from beginner to advanced. 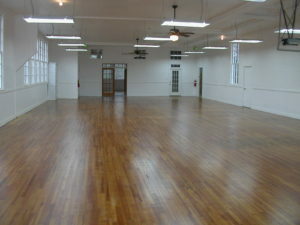 · Seminars where a professional woodworker will teach a class on some aspect of woodworking. · Building toys, which are donated to the Children’s Hospital, and other agencies that help sick children. · Shop tours where members open their shops on a Saturday afternoon for others members to visit and see how they are set up. · Monthly newsletter (this is paid for with the $100 membership fee). Whether you are a beginner or a pro, if you enjoy woodworking you will benefit from being in the Alabama Woodworkers Guild. Complete an application and bring it to our next meeting or mail it to the address listed on the application.